One of the first detail I took attention on was her shoes. I think they are lovely. I can’t really describe why I love them, but I think the design’s unique and stand out her whole design yet it fits so well. 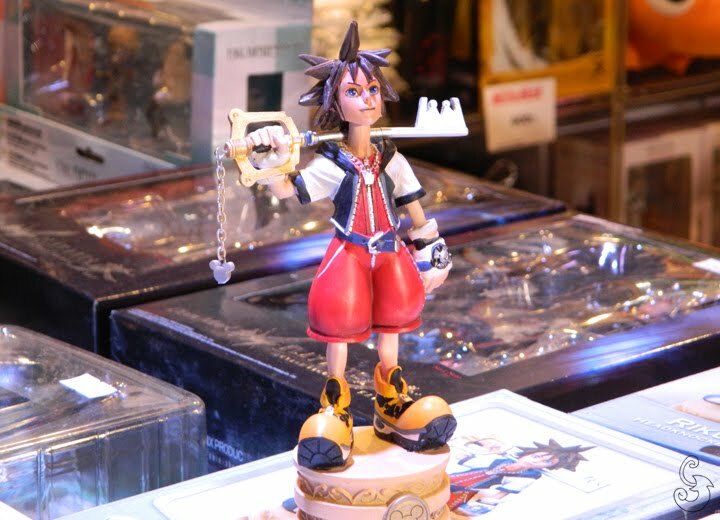 Shoes of a character in general are often not the detail that stands out the most in a character’s look and you are often more drawn to another detail (like clothes, headwear, hairdo etc.). So I was excited to make the shoes! First I bought a pair of shoes at Tradera to start as a base and that looked most similar to Millenia’s I could find. They looked kinda worn out, so to make them look newer I used a black spary color. Then I cut them! Since it’s made of leather and I could not fit my feet in them when they were zipped. I had to cut off the whole zipper to make it work. Now it’s time for a change! 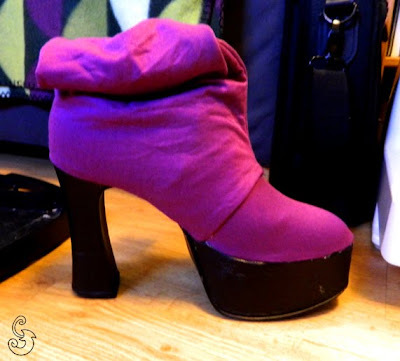 I sewed two pieces of purple fabric for the shoes, and then fitting the fabrics by using hot glue. I was surprised how easy it was and I was very satisfied with the results. 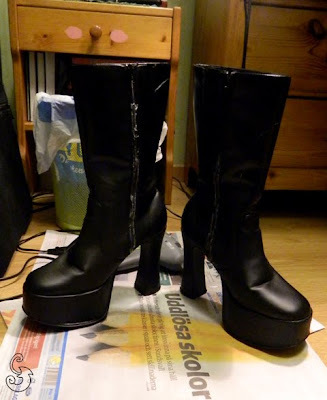 Next, to make the upper parts of the shoes (dunno what it’s really called in English? XD or in Swedish for that matter, haha). 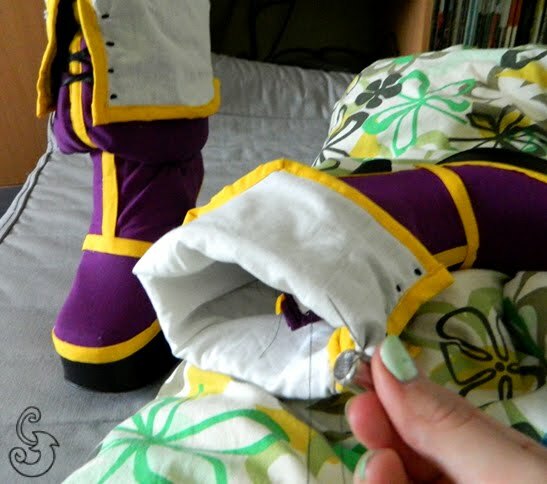 I used foam to make them hold and look like Millenia’s in the official pics. 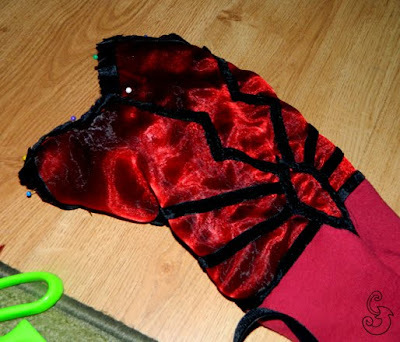 But before I placed the foam inside the fabric-parts, I cut them on the back. Then I sewed on the yellow margins. 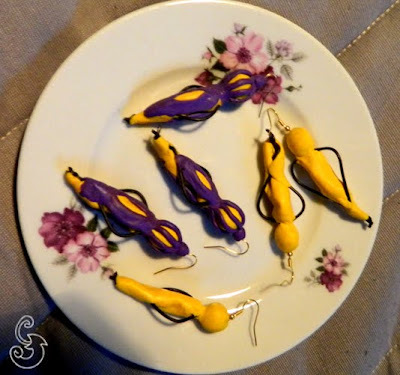 The last detail on the upper-parts was the shoelaces. 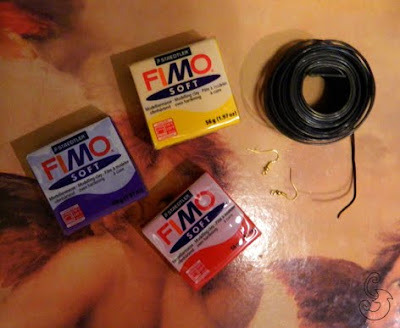 Then it was done, soon it’s time to put them on the shoes! 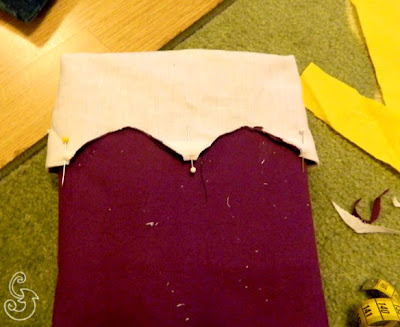 I added yellow lines and margins by sewing and glued them to place. Later I sewed the upper-parts on the shoes. Wow, now we’re talking! Millenia’s shoes also have a mark on the backside of the heels. 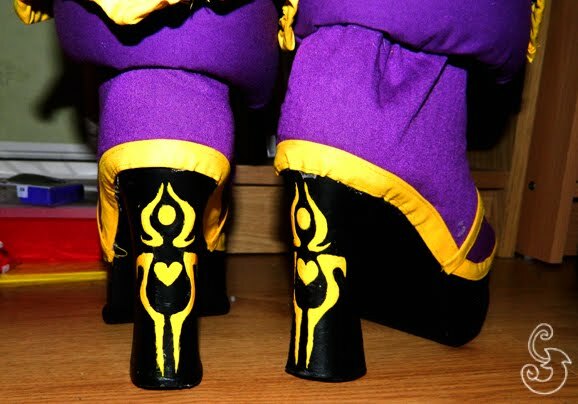 To make them, I first made the mark in Photoshop, printed it out on paper, cut out the mark, placed the paper on each heel and the painted yellow color. I think they turned out cool! Almost done! The final part for the shoes was to make the red jewels or whatever you call them. Again, I had a problem to find any decent reference of them, so I made them look like the earrings I did earlier for the cosplay since I think they look very much alike. 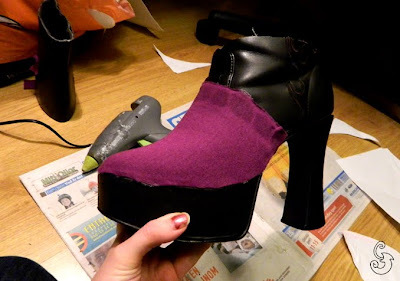 When they were finished I added them to the shoes. Now, they are finally complete! 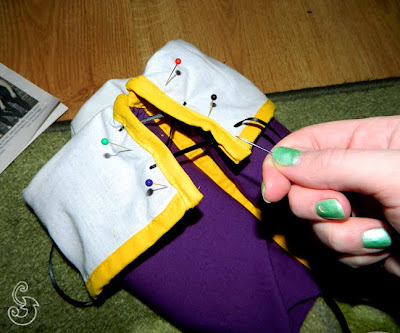 During these days I’ve been doing some cosplay work. Yes, for two cosplays actually I’m planning to wear during convents. One is for Uppcon this year and the other I do just for fun and I’ll see when I will be finished with it. I’m going to show some work on the first one. 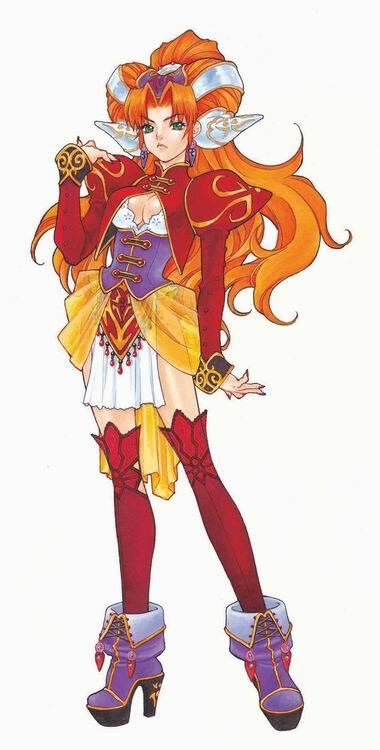 I’m planning to cosplay as Millenia from Grandia 2 at Uppcon. 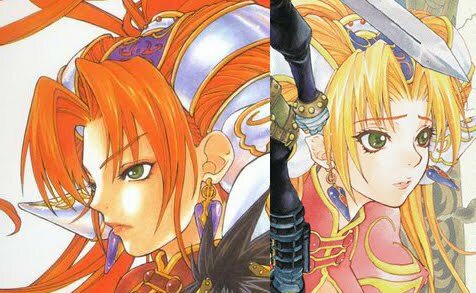 When I played Grandia 2 I fell in love with her. I love her design and her character. Those shoes, her hair and everything else! <3 I also like her personality. She is mostly cheerful, fun, and had her evil, insane side. But deep inside she’s kind and cares for those dear to her. What also makes me like her is how’s she’s changing during the gameplay. Well, I will not spoil too much if you’re planning to play the game, haha. I can recommend it, it’s pretty good and fun to play I think. Anyway, I just knew I had to try cosplay her when I got to know her. 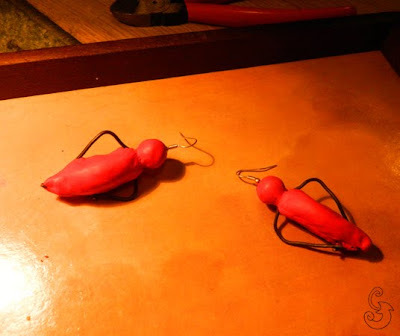 So here I’m going to show you how I worked to make her earrings. 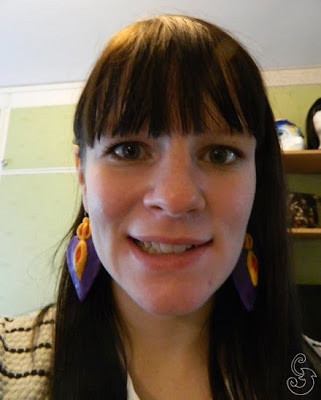 It was really hard to find any good reference on her earrings. 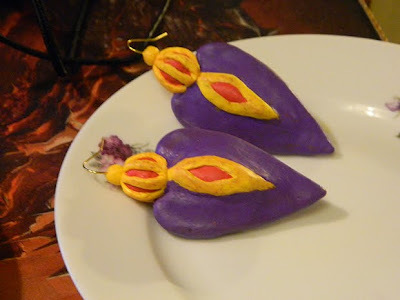 At first I thought the design on the earrings were poor and didn’t like them so much and just wanted to remove them. 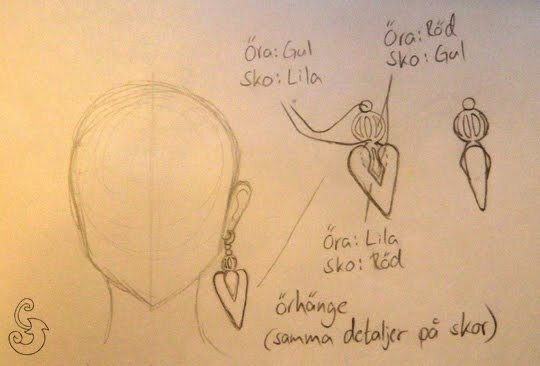 But I found some competent images and try to draw her earrings with some touch by me. 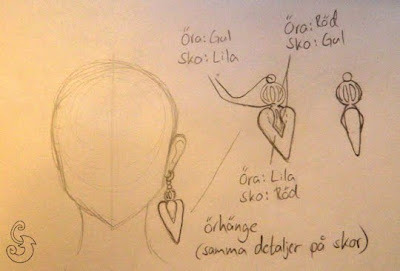 My sketches of the earrings. Then I used a clay called Fimolera (Fimo clay) bought on Panduro. 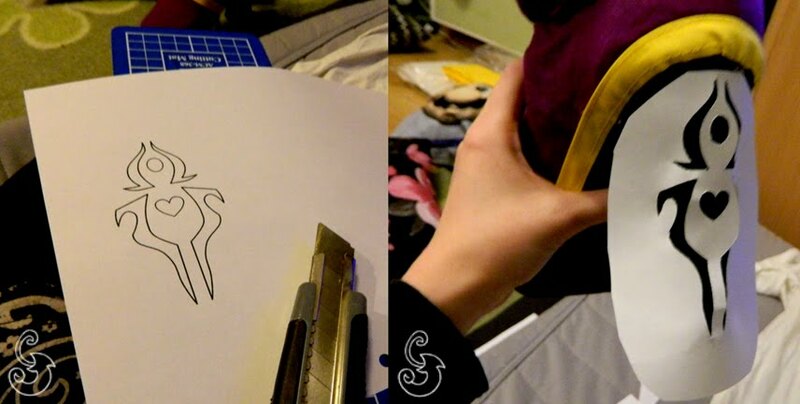 Really easy to use and to shape. Here’s what they looked like first when I started with the red clay..
Then they went into the oven and voilá! I’m rather happy how they turned out. I was first afraid that they would be too heavy, but they are alright to wear. Maybe I will paint some color to take away the discolored areas, but only if I have time left. They look good anyway. 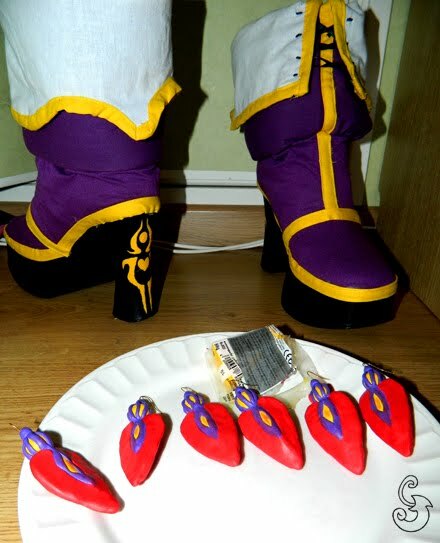 ^^ Next up is working and finish the shoes! 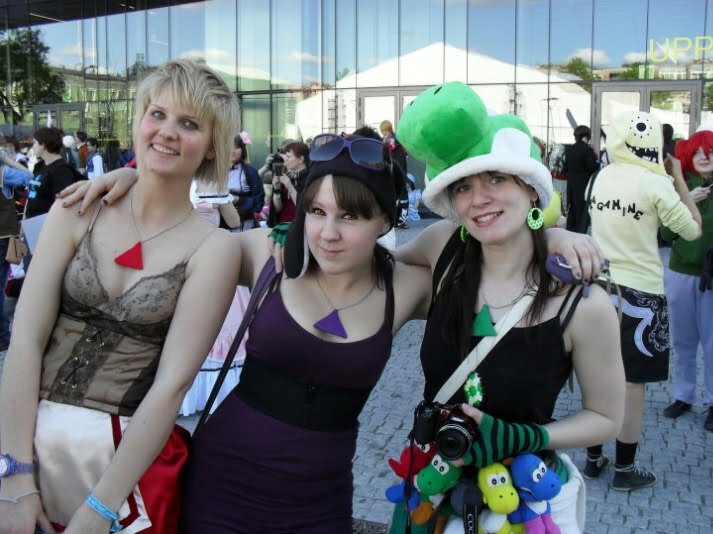 And now, for another cosplay. To be honest, I started this last summer and have been working on it when I had time left and felt like to work with it. This is a necklace I’m working on. Here’s how I started. 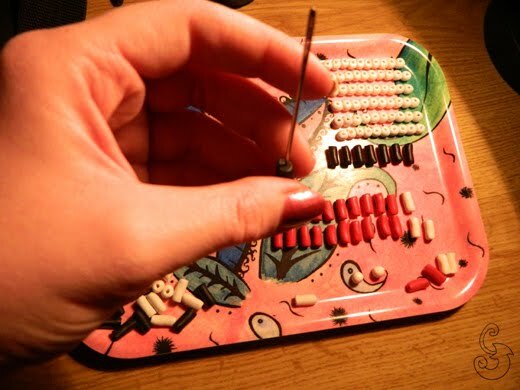 For this I also used Fimolera to make beads, and used a needle to make the holes for the thread to go through. The white balls are attached to each other to hold together the necklace. As shown in the pic. Sorry, didn’t take as much pics as I did with the earrings. However, I’m satisfied with the look. I didn’t thought it would be so easy. But it took time, oh yes. 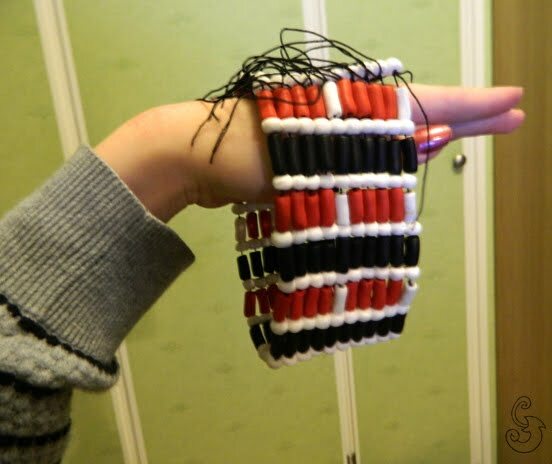 I made every lil’ bead by hand and they are a lot! 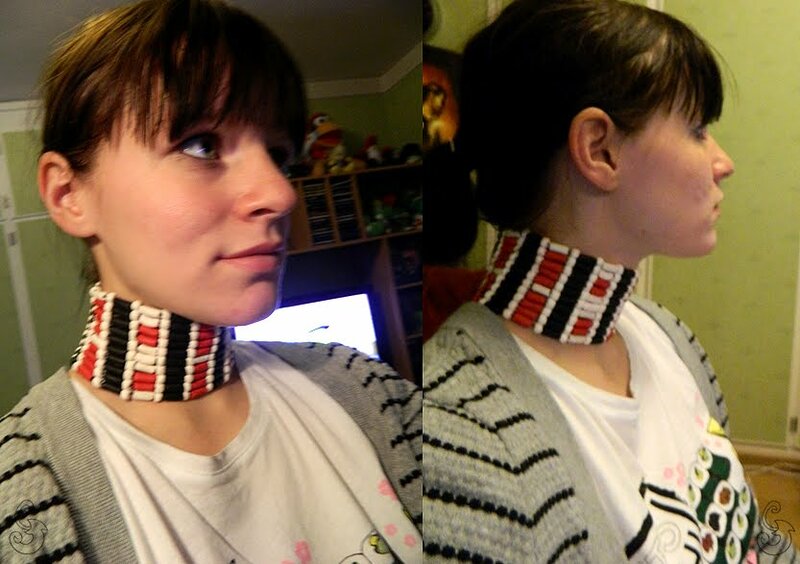 Now you probably wonder what this necklace is for. Well, I'm going to let you guess that.. ;) Until next time… see ya around! 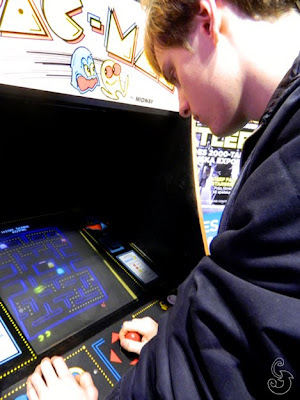 During my lifetime I have been obsessed with many video-games series ( and some anime/manga series). It has been new things I learned about and gotten obsessed with it, but also old things I have forgotten about and started to love again. But there's one figure I never can forget and that I have always loved. Everyone who knows me, know what I like the most. Who it is? Simple. 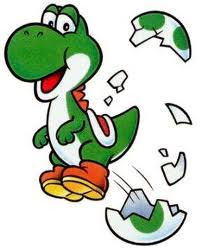 I remember I started to like Yoshi when I for the first time saw him in Super Mario World for SNES. I was about 4-5 years old and watched when my dad and my brother played the game, and also other games he appeared in like Mario Kart and Mario Paint. 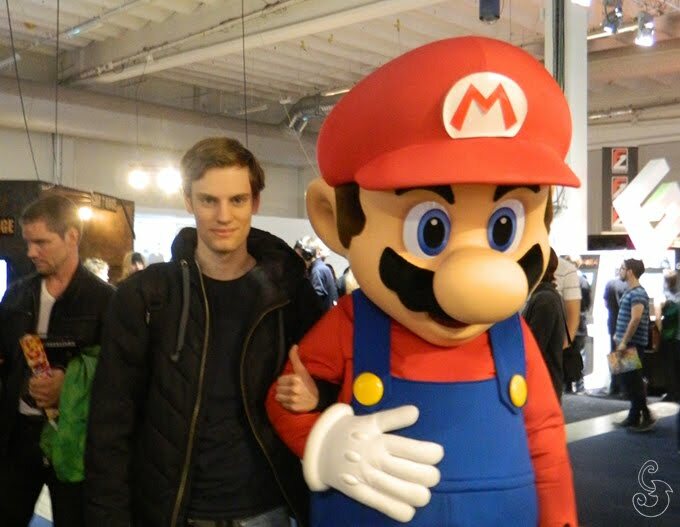 Later I dared to play myself and loved to ride on Yoshi's back in SMW and always picked him in MK. I drew many drawings of him. When I was in primary school I used to make Yoshi-figures made of paper that came in many colors, and gave/sold them to my friends. I used colorpencils to color them, but I also tried glitter in different colors like gold or rainbow colors. Those were the ”rare” and special ones. X) I can't find the oldest one, but I have saved one I did later in primary school. An ”uptaded” version from the oldest ones. 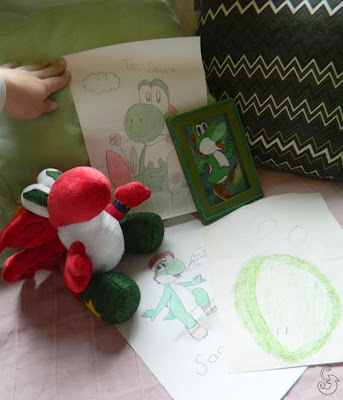 Unfortunately, I can't find it either at the moment (I bet I will find it after I've posted this entry XD) But I found the paper shet with the Yoshi I had and when I made these. I copied lots of paper shets that I colored and cut into figures. The arm and the leg are supposed to be moveable thanks to two needles that you insert through the small dots on the arm and the leg and then use tape on the backside to hold the needles together. Haha, hope you understood my explanation. My English isn't the best. Anyways~. At that time I subscribed a magazine called Club Nintendo. You could send fanart to them and I think I did that three times. In one of the letters I also included a Yoshi figure for them. They sent me a letter back and thanked for the drawing and said they loved the figure. So they sent me some small gifts which mostly was Pokémon stuff, like a poster and stickers. That was really kind of them! Too bad they had to cancel the magazine some years later. Here's one of my drawings that got in. Very veeeery old pic! 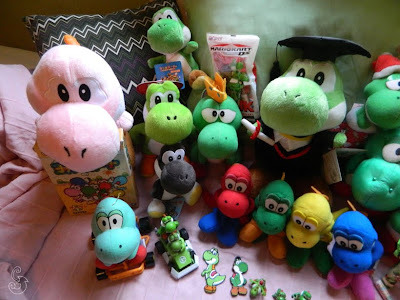 As a Yoshi fan, I also have a lil' collect of Yoshies. I have collected them through my life. Here's what my collection looks like right now. 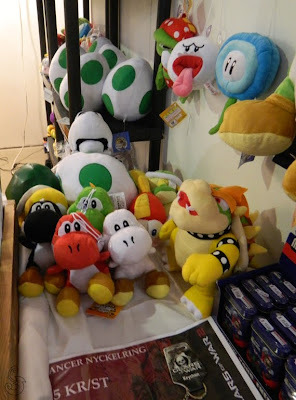 I had to take many photos because I figured out there was a Yoshi missing in the collection. 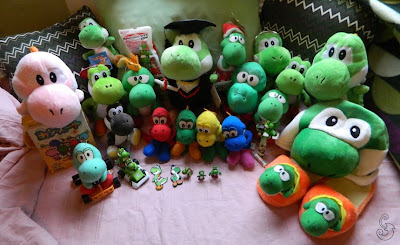 XD I'm not sure if I got every Yoshi I have in this photo. I do know though I have three Yoshi missing in this picture. 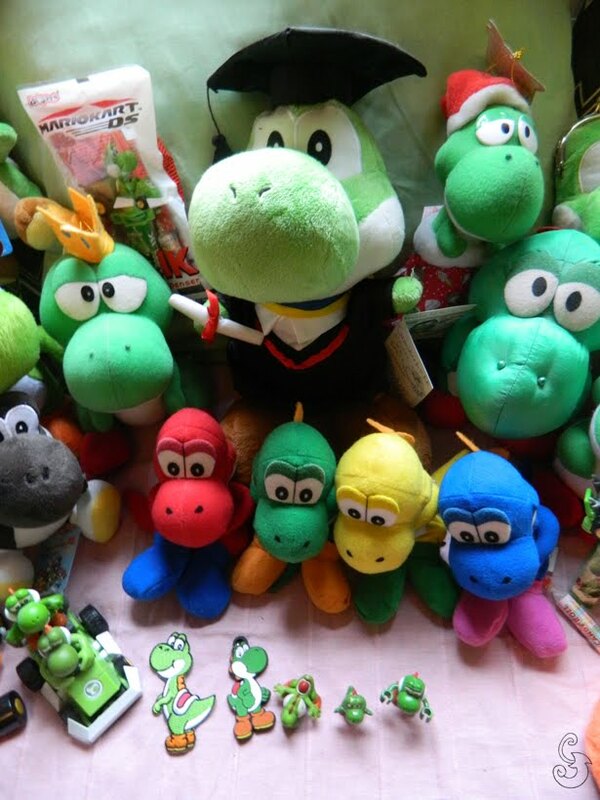 One is a black one that my friend Kiika bought for me, a small green one that is with my boyfriend, and my red Yoshi plush I recently bought on Gamex. 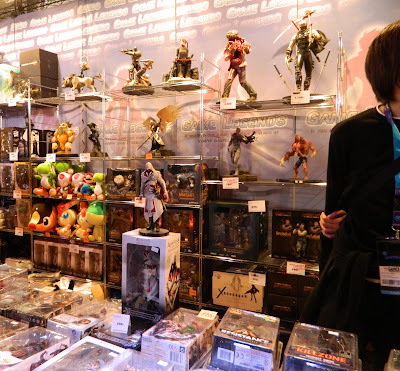 Most of them is bought on Ebay. 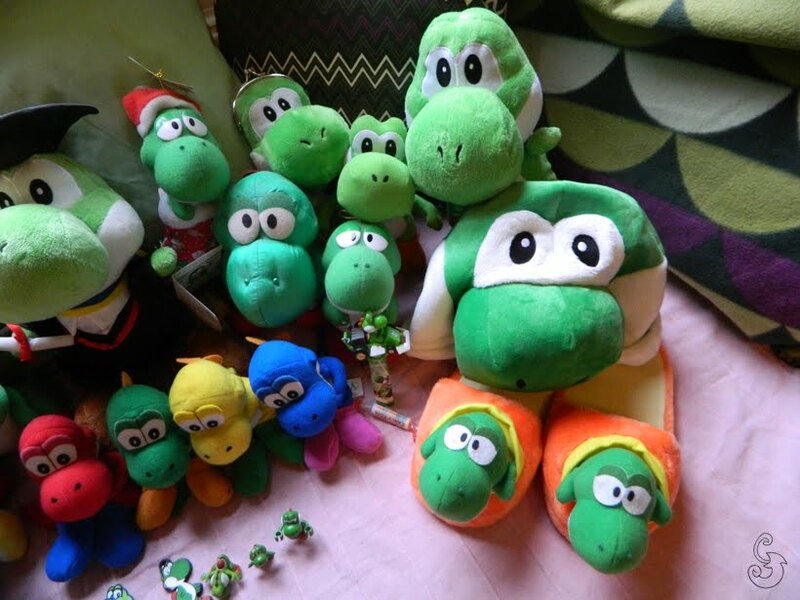 I used to collect Yoshi toys as well but has decided to go with plushies only. My dream is to one day get the biggest Yoshi plush I can find and have on my bed. ;D My oldest and the first Yoshi plush I got is this lil' fella. 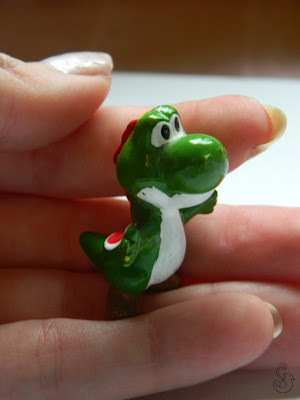 This small figure could you get from a chocolateegg that I bought when I was a kid (kinda like Kinderegg Surprise, but with Super Mario). 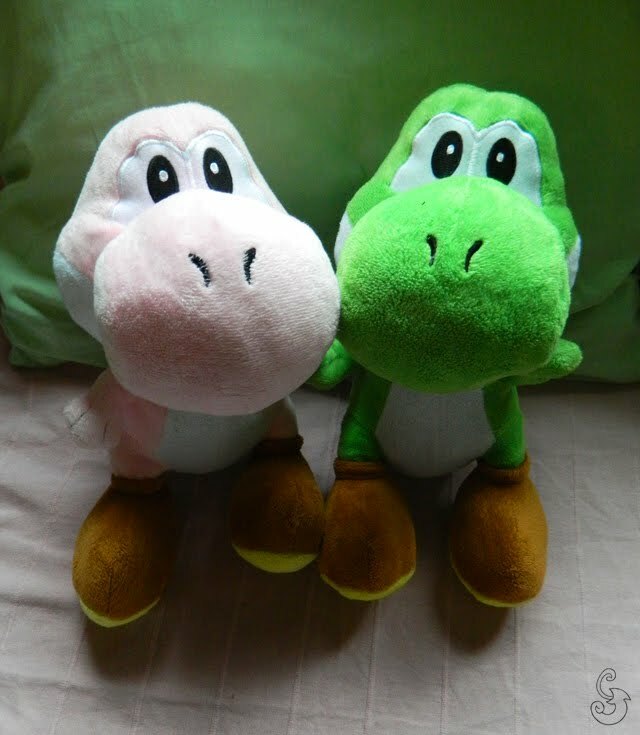 These Yoshies are on my sofa in my room. 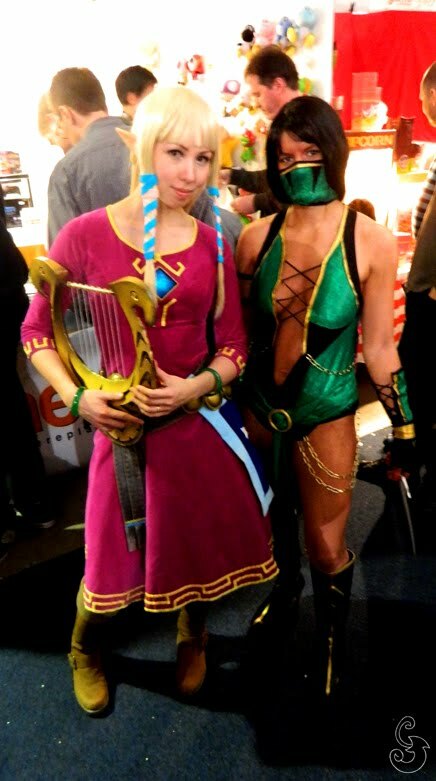 I bought the green one first time when I was at a convent, Uppcon. The pink one is bought from another convent called Närcon. I'm thinking about trying to get every color in these sizes I can find on convents or other events (or the net if I'm desperate). Since many friends knows I'm crazy about Yoshi, I have received some gifts. Here's some of them. 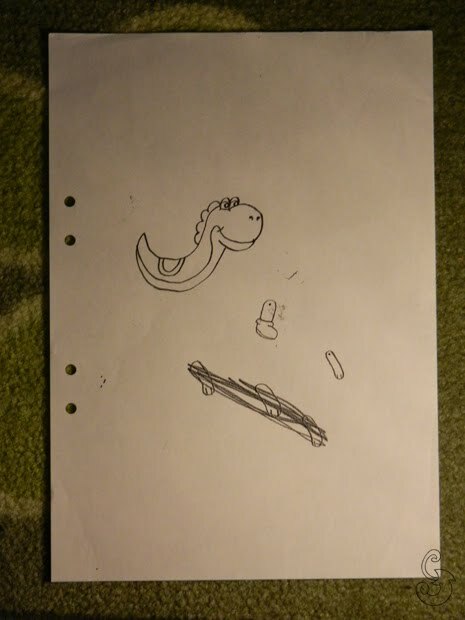 I have gotten more drawings than these, but couldn't of course find everyone of them. I wished I could keep my stuff in order better so I could find them easier, haha. I have also received drawings through the web from talented artists and friends, here links of them: [link] [link] [link]. Don't forget to check out their galleries! 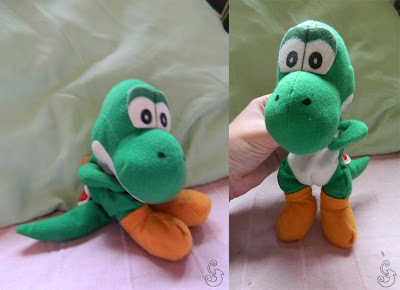 About the red Yoshi plush, it's supposed to be me as a Yoshi. Yes, I have designed how I would look like if I was a Yoshi. 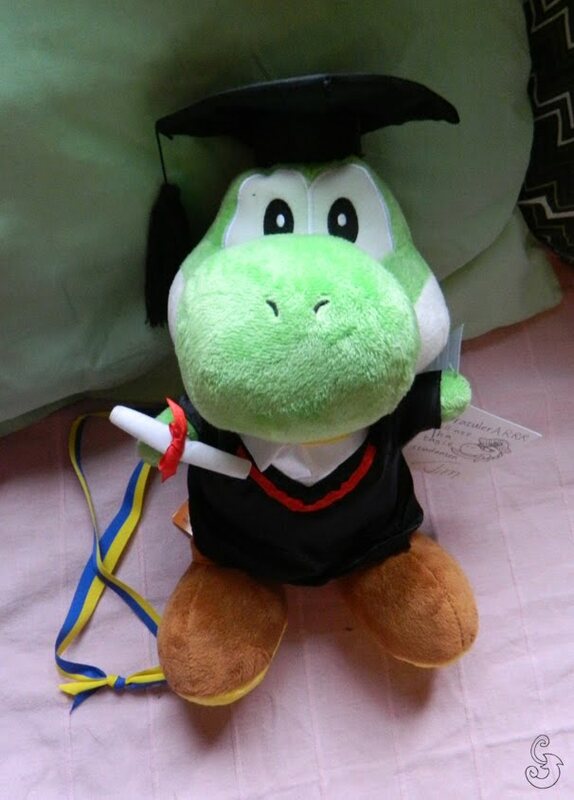 Her name is Reshi (Red + Yoshi = Reshi. Creative, I know). I did the first design back in 2003 I think which looked like this: [link], and has changed a bit to this: [link]. 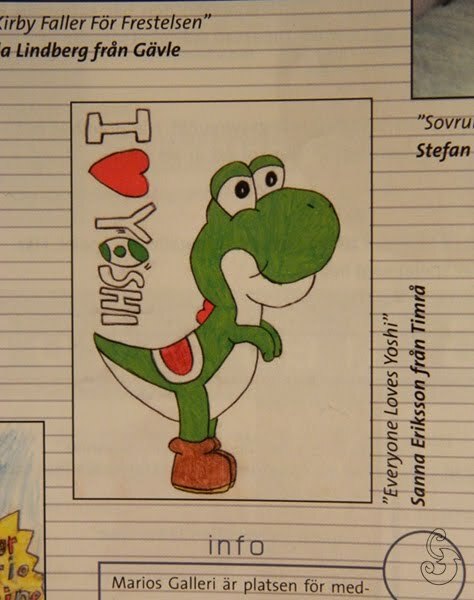 Don't ask about the design, I just wanted a cool unique Yoshi, haha. X) And I'm quite happy with it. The strange thing is that she's red and not green since green's my favorite color. I guess she would look like Yoshi too much then if I made her green? Besides, she has a nice color anyway I think. 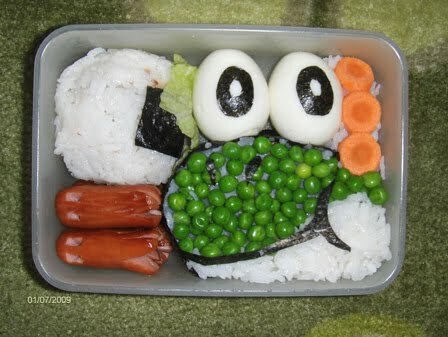 Here's a Yoshi bento my brother did for me as lunch one day at work. Hey hey hey, time for some update. I was prepering a special entry, but it's not finished yet. Have to fix some pictures for it first. So I thought I should just drop a regular update to what's going on now in my life. I have almsot completed all the work from school until I can get my grades. There's only one single report I have to do in biology, then I'm free from school!! ..for a while at least. 'Til next year! My plans for next year are to study one subject at komvux, which is Nature of knowledge B (Naturkunskap B). Then I'm also going to try searching for a job. Which I think it will be difficult since it's hard these days to find any jobs here were I live. But I will try. I was first going to study more subjects at komvux, but I feel I need to take a break from the studies for I while. Since I know I will study even more when I'm going to try for university college/universitry. My plans are that I will try out to study to a dental technician or dental hygienist. Dental technician seems more appealing to me since of what I've heard you create teeth and you need to be creative and have to have some sense of colors and shapes. And I think that seems quite fiting for me. So will see about that. :) Hopefully it is something for me and maybe it can be my future job. In other news, are you looking forward to christmas? Bought any presents? I have! I'm not late with buying presents this year, and really proud of it! I'm not done yet though, wouldn't surprise me if I ended up buying the lasts gifts in the last minute. XD Oh well. I can't wait for christmas. 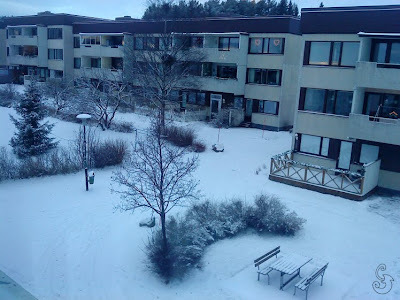 ^^ I hope there will be more snow here as well, hasn't come so much yet. Yup, that's what's going on right now. 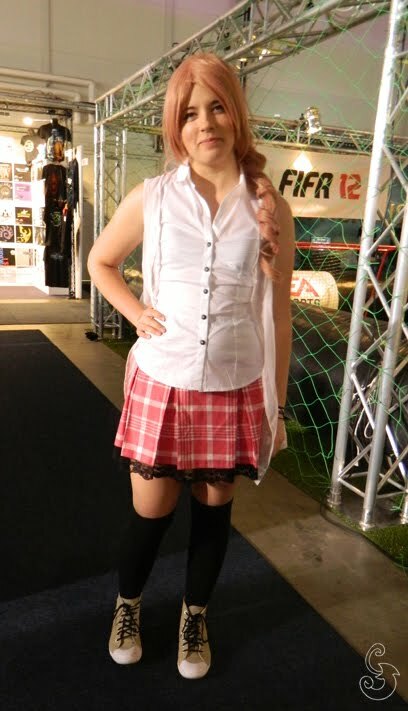 I also have plans for a new cosplay I will have for Uppcon next year. Some friends of mine knows who I chose, but I feel I don't want to tell you yet here who it's going to be. It will be a surprise. ;) Or maybe I could put up progress entries here on the blog. 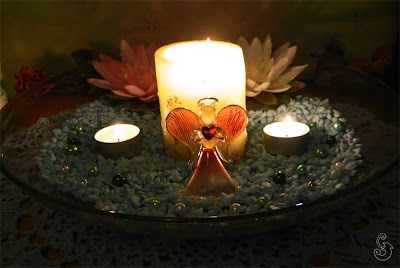 I know that it can be interesting for people, so it's possible I may do that if I have time and strength for it. Alright, I think I have wrote enough for now. See ya later alligator! 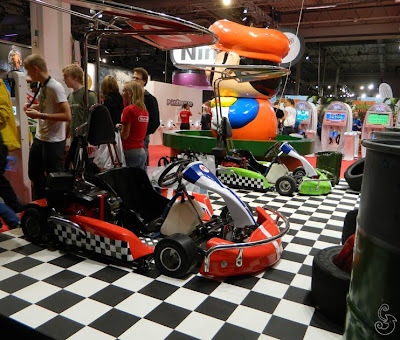 As I mentioned in the last entry, I’ve been to Gamex this year. 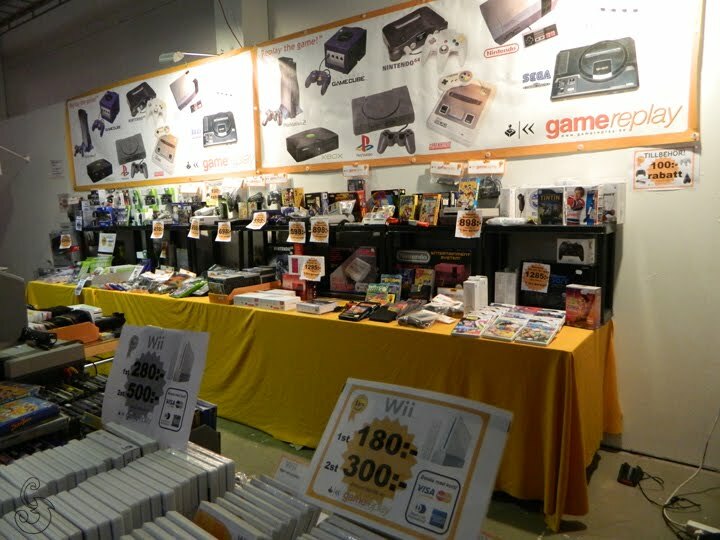 Sweden’s biggest gaming event were you can try out video games that hasn't been released, meet other gamers, buy figures and toys ect. 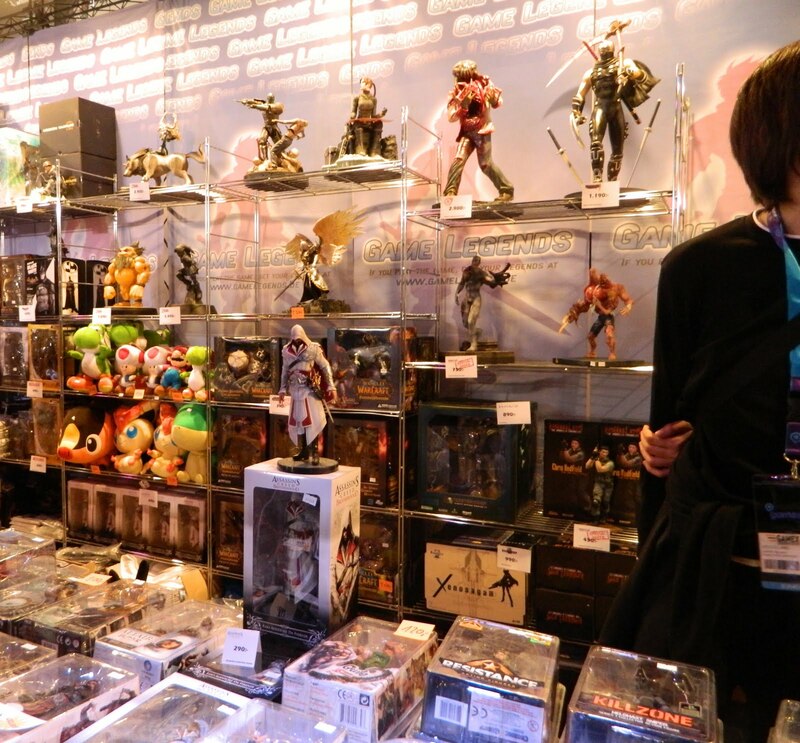 It’s kinda like a small small E3 or Tokyo Game Show. 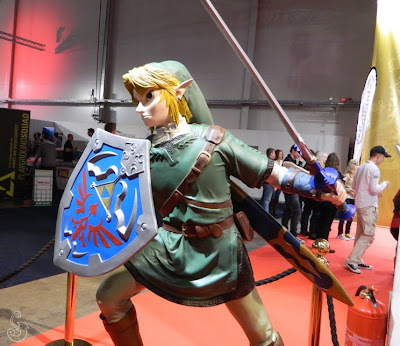 Anyway, I was there the previous year and I had a blast this year too! Most of the games I tried were from Nintendo. 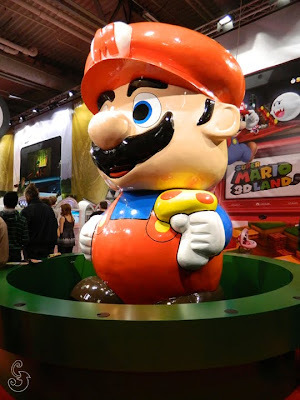 The games I tried were The Legend of Zelda: Skyward Sword, Mario Kart 7, Resident Evil: Revelations, Rayman Origins, SSX, Gears of War 3, Super Mario Land 3D, Luigi’s Mansion 2, Kid Icarus: Uprising, Star Fox 64 3D, Dance Central 2 for Kinect and Kirby’s Return to Dream Land. 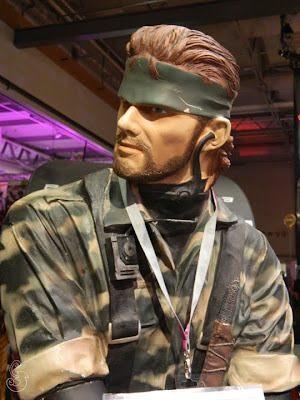 Soild Snake! This big statue was the first prize in the cosplay competition Game held. 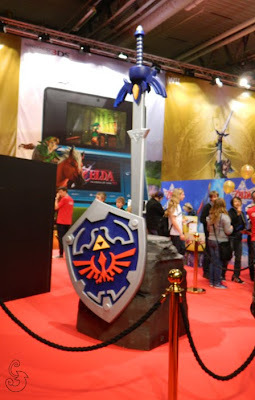 I didn't win it obviously, but it would had been cool to get it! Unfortunately, I don't know who won it. The games I got most excited about was of course Zelda and Resident Evil, I like both of them and can’t wait ‘til I get to buy them! In Resident Evil: Revelations the controls are much like in Resident Evil 5, which I like since I’m very used to them and it’s easy to handle. To gain the best gaming experience you should wear headphones so you can get into the scary atmosphere with the surrounding sounds and noises. Your ammo is limited; so you have to be careful to not waste bullets or save bullets and run for your life. A new interesting item you could use was a scanner that scans areas and locates items. It could be ammo, herbs and other useful things. Of what I have seen (expect for the distasteful female characters) and played so far I liked it. 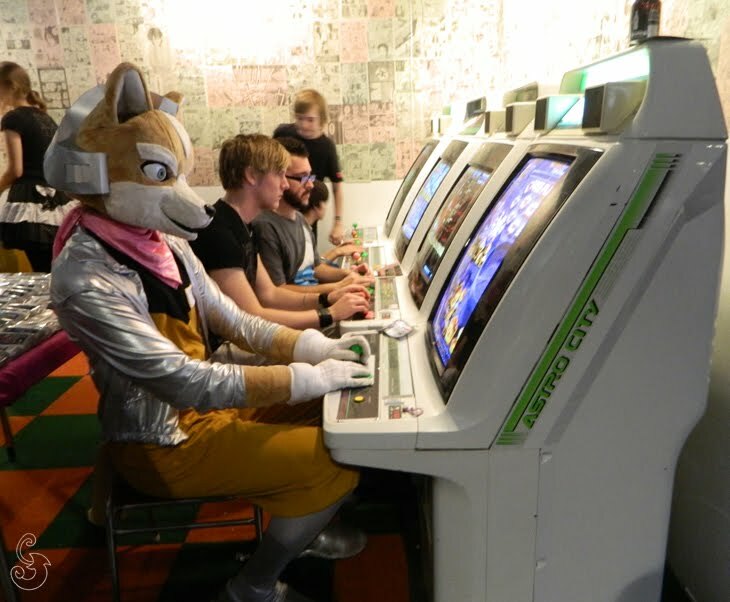 The gameplay will at least be fun, but I’m unsure if the story’s going to be any good. I doubt it, since I wasn’t very fond of the story in RE5. :P But we’ll see! Yeah, and that was pretty much all I got to say. 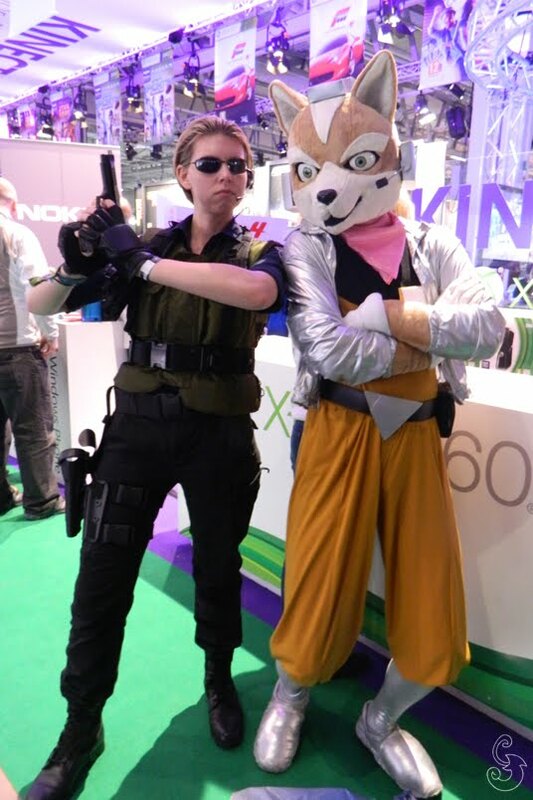 Gamex was awesome as last year! 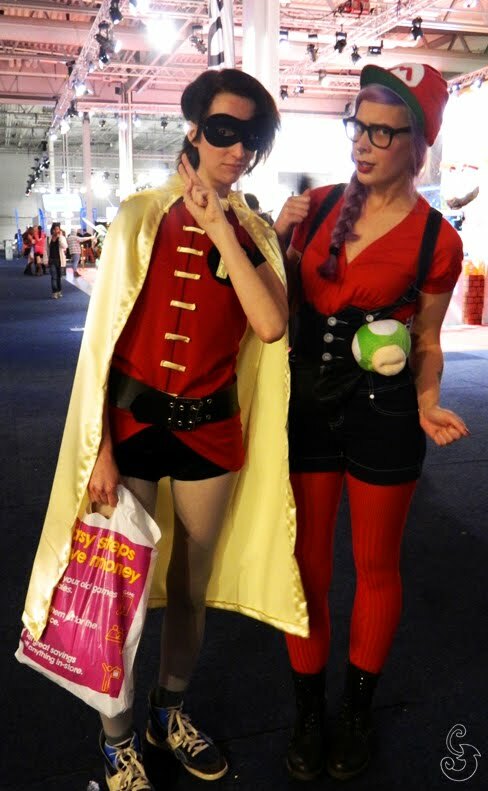 I’ll share some more photos here of cosplayers and my friends. Craziest mix you can find?! 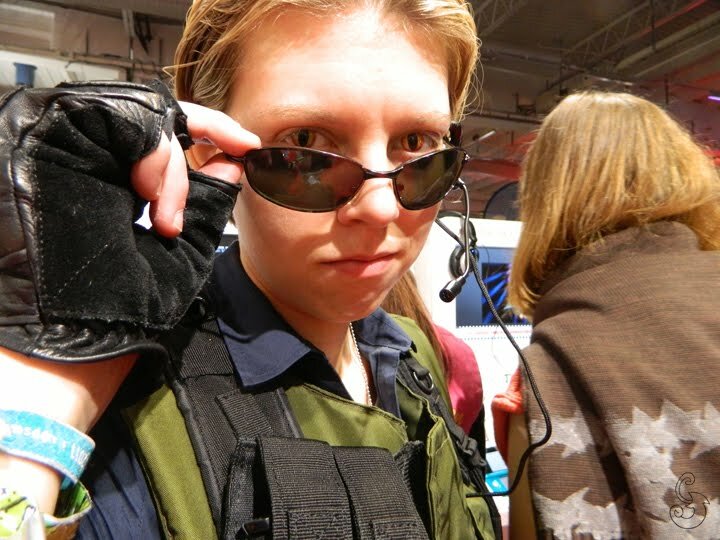 Albert Wesker (a.k.a. Spettan) and my brother as Fox McCloud. 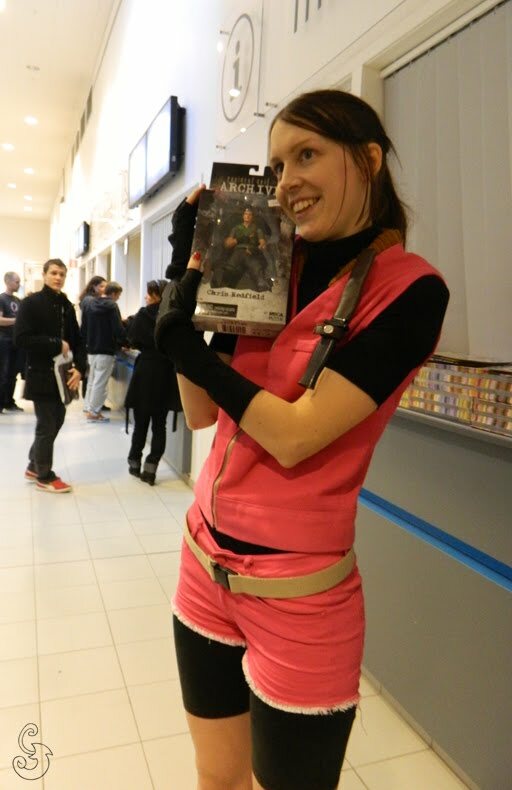 Claire Redfield (a.k.a. Emelie) found her brother and bought him for a good prize! Ashley Graham (a.k.a. 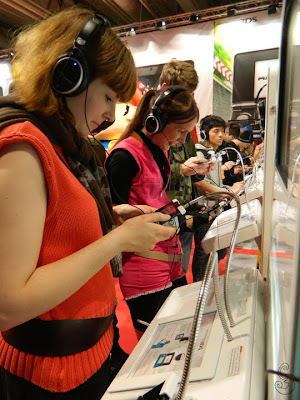 Hanna) and Claire playing some 3DS! I'm a 21-year old creative girl that lives in Sweden. This is my blog were I mostly write about my life and my interests which is drawing, playing video-games, cosplay etc.